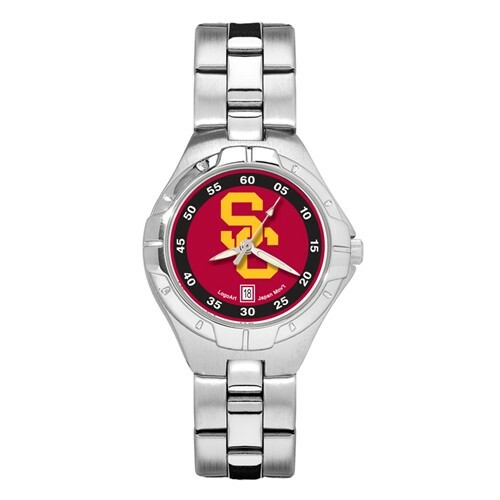 The University of Southern California Pro II women's watch features the Trojans logo prominently centered on the dial. Case dimensions: 1 3/8in x 1 1/8in. Dial diameter: 11/16in. Powered by a precision Miyota three hand quartz movement with date function. Packaged in black tin box. Water resistant. Two year limited warranty.